Scientists have discovered numerous features in the universe which are so exquisitely finely-tuned and balanced, that even a slightest change would make the universe and/or life in the universe impossible. As discussed in this article, the fact that these fine-tuned features exist is not disputed — they are well-documented in the scientific literature. In fact, because of all of the just-right design features which scientists have discovered throughout the universe which permit life to exist on Planet Earth, even secular scientists refer to Earth as the “Goldilocks Planet” — it is just-right to support life. Do the finely-tuned features of the universe point to the existence God or are the finely-tuned features more reasonably attributed to mere chance illusion as proposed by naturalists? This article explores the reasons Christian apologists maintain the finely-tuned features cannot reasonably be explained by “chance”; instead the exquisitely designed features are most reasonably explained by the existence of an intelligent, transcendent designer (like the God described in the Bible). Scientists have discovered numerous finely-tuned features throughout the universe that make life possible on Planet Earth. Indeed, because of all of the just-right design features in the universe, even secular scientists refer to Earth as the “Goldilocks Planet”. Just like in the old tale of “Goldilocks and the Three Bears” (where Goldilocks finds Baby Bears’ porridge, chair and bed just-right for her), Planet Earth is just-right to support life. Naturalists propose that Earth’s just-right planet in a just-right universe is explained by random chance. In the naturalists’ view, an infinite number (or almost infinite number) of universes exist which randomly exhibit various levels of so-called design such that the chances are there will be at least one universe with a planet like Earth capable of supporting life. Consequently, naturalists propose that the so-called finely-tuned design features observed in our universe are nothing but an illusion attributed to chance. In other words, because we cannot see the countless number of other universes which exhibit a myriad of characteristics different than our universe, we don’t realize that our universe just happens by chance to exhibit all the characteristics necessary to support life. Contrarily, Christian apologists maintain it is statistically impossible for all of the just-right features that scientists have discovered throughout the universe to be explained by mere chance. Instead, they contend the most reasonable conclusion is that all the finely-tuned design features in the universe point to the existence of an intelligent and purposeful Designer, like the self-existent, transcendent, eternal, omniscient and omnipotent God described in the Bible. The statistical probability of just 200 finely-tuned features coming together by chance is about one chance in 10215 – a 10 followed by 215 zeros. The incredible enormity of this improbability is evident when one considers that the total estimated number of grains of sand on all the beaches of planet earth is about 1025 and all the sub atomic particles in the entire known universe is only about 1080. Because of the enormous improbabilities involved, Christian apologists maintain that the most reasonable explanation for all the exquisitely fine-tuned characteristics in the universe is not mere chance illusion (as proposed by naturalists) but, rather, because the universe was designed with all the just-right features necessary to support life. If the universe was designed, then an intelligent designer (like the God described in the Bible) must exist because there can be no design without a designer. 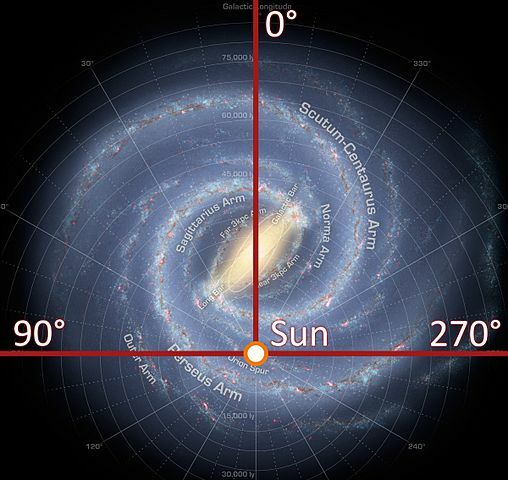 In the above graphic, matter (depicted by Planet Earth) curves the geometry of space-time and the curved geometry is what we interpret as gravity. One factor out of 1060 is like having one penny buried in a pile of dimes covering the entire United States and extending up to the moon – not only once, but 250,000 million times. 1060 is such a huge number that the chance of randomly picking a single penny out of such a large pile of dimes is statistically zero. 10120 is a much larger number and, in fact, greatly exceeds the estimated total number of atoms in the entire universe which is only 1080. Given the incomprehensibly of the universe expanding at the just-right rate so that life could exist anywhere in the universe, Christian apologists maintain the explanation that an intelligent designer designed the universe so it would expand within the extremely narrow range is a much more intellectually satisfying explanation than to speculate that the just-right expansion rate of the universe is a mere chance illusion. Our galaxy, the Milky Way galaxy, is a just-right spiral galaxy able to provide the just-right environment for a just-right parent star like our star (the sun) so that Planet Earth has been provided with the elements required to support life. 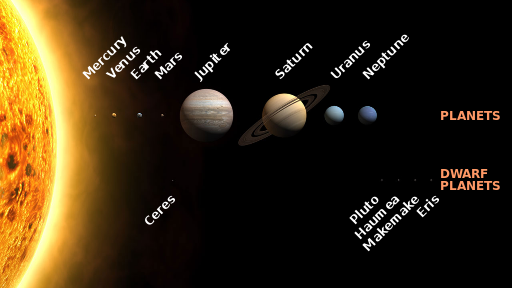 In order for a planet to be capable of supporting life, it must reside in a just-right solar system with all of the just-right features including, among many others, a just-right parent star like the sun, a just-right sister star like Jupiter and a just-right moon like our moon. Jupiter is the just-right size, the just-right distance from Earth, the just-right mass and is in the just-right location to shield Earth from being regularly bombarded with comets and asteroids catastrophic and deadly to life more>>. Without the moon, or if the moon was not the just-right mass or was not the just-right distance from Earth, the earth would rotate too quickly for advanced life to survive and Earth would not have a steady climate or regularly occurring seasons. Additionally, Earth’s oceans would become stagnate and polluted and, consequently, unable to provide people, animals and plants living on Earth’s continents with the vital nutrients they need to survive more>>. Earth has a very unique atmosphere for its mass. For example, Venus, which is only about 85% the mass of the earth, holds onto an atmosphere that is 40 times more dense than Earth’s atmosphere. Given Earth’s mass, scientists calculate it should have an atmosphere 100 times more dense than it does, but such a thick atmosphere would not be able to support life. 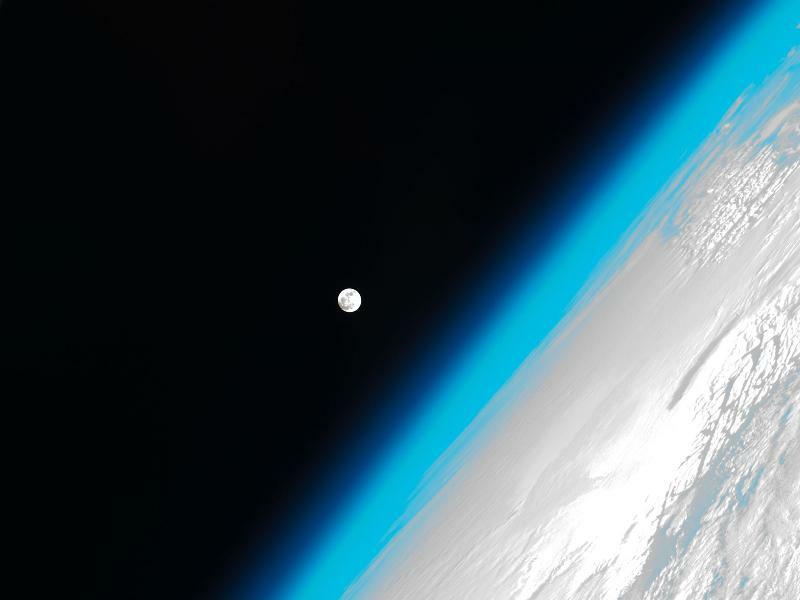 Indeed, if Earth’s atmosphere was thinner than it is or thicker than it is, it would not support advanced life on the planet. Earth’s atmosphere is just-right more >>. Scientists have discovered that in order to support life, a planet must have a just-right supply of the following three forms of water: 1) water vapor (found in the clouds), 2) liquid water (found in rivers, lakes and oceans) and 3) frozen water (found in snow and the polar icecaps). Earth has been able to maintain an abundant supply of all three life-essential forms of water because it is located a just-right distance from its parent star, the sun more>>. In order for life to be sustained on Planet Earth, the planet cannot get too hot or too cold. If the planet were to get too hot, all of Earth’s sources of water would evaporate and the planet would not be able to support life. If the planet were to get too cold, all living things on the planet would freeze. The surface temperature on earth must remain within just-right habitable parameters for life to survive on the planet more>>. Planet Earth rotates at a just-right rate (i.e., within parameters of a few percent) so that people, animals and plants living on the planet are not subjected to deadly high velocity winds or temperature variations more>>. In order for life to exist in a universe two things must occur: 1) the universe must be capable of supporting life and 2) life itself must exist. However, as demonstrated below, the calculations involved in both of these things occurring as a matter of blind, random chance are so overwhelmingly minuscule that the chances of one, much less both, of them occurring is statistically zero. As set forth above, hundreds of things must be exquisitely fine-tuned in order for life to exist and be sustained in the universe. Only a handful of examples were summarized above. Intelligent Design or Random Chance? As argued by Collins, the most rational conclusion is that the biosphere (with all of its dials set at all the just-right settings) was designed by a being with intelligence who designed the biosphere to operate in a just-right way for the purpose of supporting life in the biosphere. Likewise, as maintained by Christian apologists, there is simply no compelling reason why belief in an intelligent, purposeful designer is not a rational, if not the most rational explanation, for all the exquisitely fine-tuned design features scientists have discovered in every aspect of the universe which are necessary for life to exist. In fact, many Christian apologists maintain only a pre-existing bias against the existence of an intelligent designer would cause someone to conclude all of the exquisitely designed life-essential features in the universe and life itself came together as a matter of blind, random chance which has no beingness or causal power more >>. The God of the Bible is described as a self-existent, eternal, transcendent, omnipotent and omniscient Creator who designed the universe to operate in a just-right way for the purpose of permitting life to exist on planet Earth. If there is no God, then the existence of all of the exquisitely fine-tuned characteristics of the universe and life within the universe must be attributed to mere chance. In addition to pointing out the incomprehensible improbabilities of the universe having all of the just-right design features without any input from an intelligent designer (numbers like 1060, 10120, 10215, 1040,000 and 10,000,000,000124) Christian apologists also contend the atheist’s appeal to chance is not only speculative (more >>) but counter intuitive (more >>). In the Christian worldview, man is confronted with a choice: 1) A person can choose to put their faith (not blind faith but well-reasoned faith) in the existence of a self-existent, eternal, transcendent, omniscient and omnipotent Designer as the most reasonable explanation for the existence of the universe and all the exquisitely fined-tuned design features discovered throughout the universe or 2) A person can put their faith in the existence of an unknown natural mechanism outside of the space-time envelope of this universe which operates in violation of the laws of physics and, by mere chance, has given the illusion that the universe was designed. Given the phenomenal improbabilities involved with the proposition that all the finely-tuned design features in the universe came together by blind, random chance as well as the other independent lines of argumentation for God’s existence, Christian apologists maintain there is no compelling reason why belief in an intelligent designer is not a rational, if not the most rational, explanation for the existence of the universe.